What A Townships Heritage! 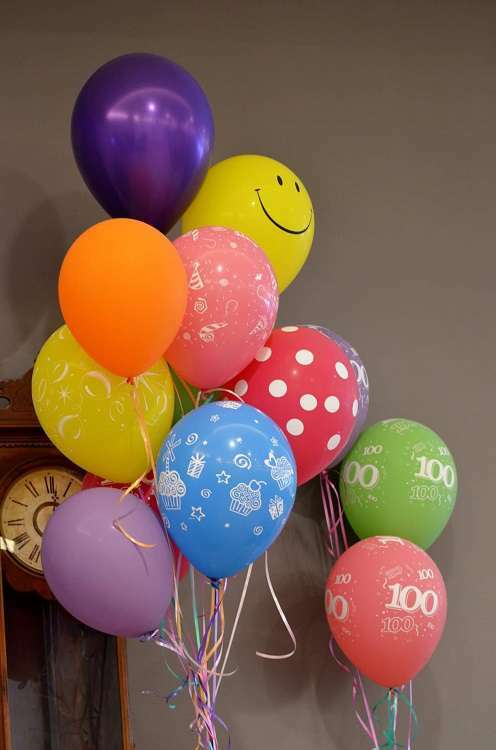 Celebrating A Century With A Community Builder! 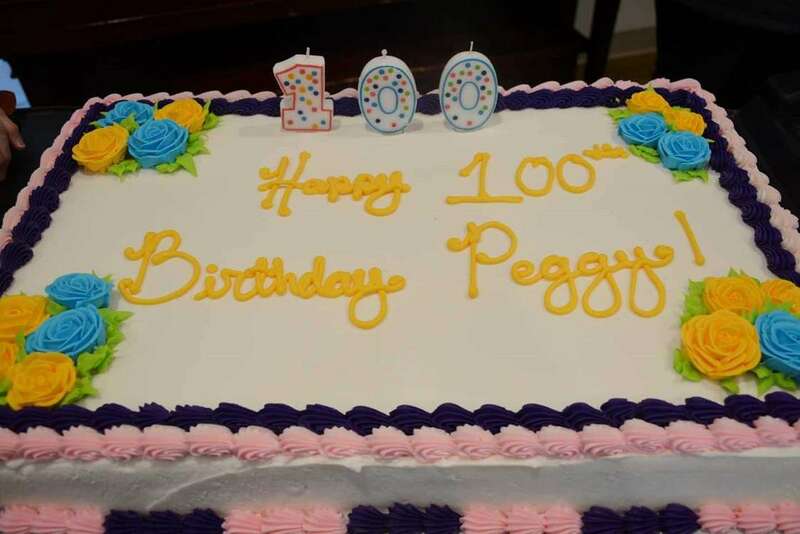 Peggy Munkittrick's 100th Birthday Bash! 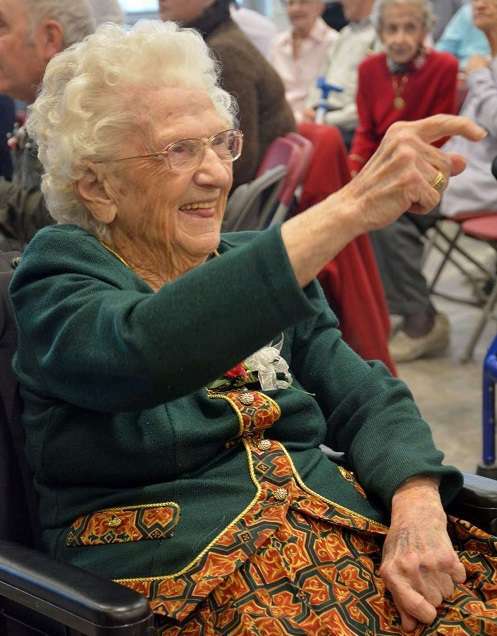 100 years - the grin and twinkle in the eyes have never dimmed! Always up for a practical joke on the one hand, and on the other hand always there for friends and neighbours when needed. Peggy never missed an opportunity to help - groceries (often out of her own pocket), clothing for children and adults through the Sherbrooke Welfare organization where she freely gave many hours of her time each week, driving someone to an appointment, attending court sessions if support was needed, and on it goes. Examples of the famous smile being lived out in service to others are countless. friends of Peggy and Harold are forever grateful for this secure, friendly and loving seniors' living environment with its state-of-the-art care facilities. Know to all as auntie Peggy and uncle Harold, they also initiated and worked with Maplemount, a children’s home in Cookshire at the time. 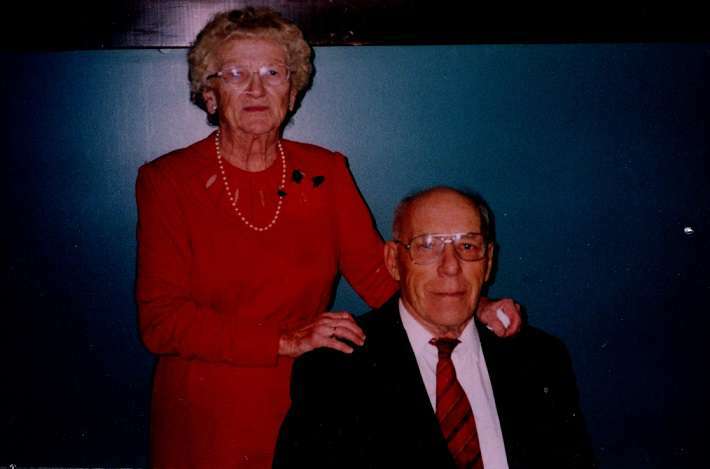 They were part of the original group that founded Frontier Lodge, a Christian youth camp where Peggy often herself cooked the meals for over 100 hungry campers, with Harold bringing in the groceries from Sherbrooke and doing the camp maintenance work. Life for Peggy and Harold was not all about work and business! The Lake Wallace cottage, neighbouring friends and Frontier Lodge are an important part of the heritage of this community-oriented couple. 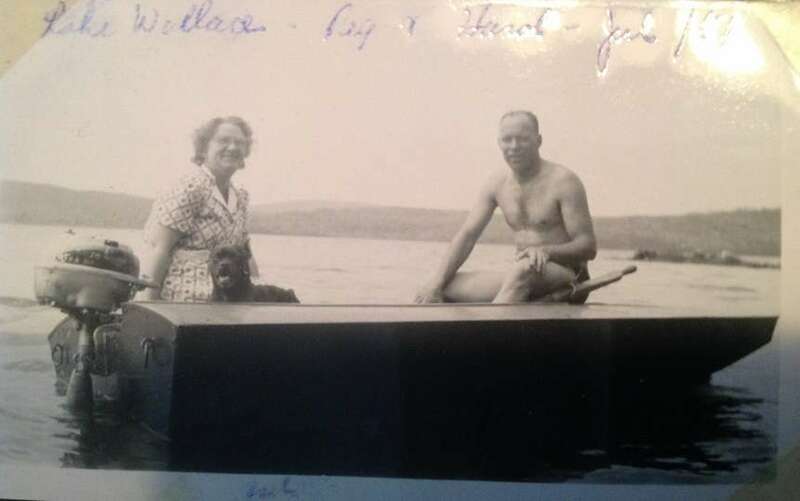 Harold enjoyed summer evenings at Lake Wallace, often taking young people from camp or visitors to their cottage for a fun boat ride around the lake or treating them to a water skiing thrill. Peggy always provided snacks and meals to the hungry young people. 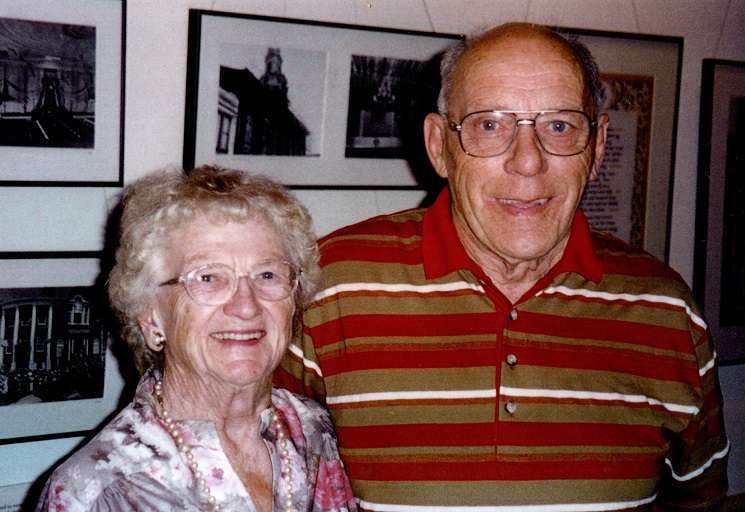 These activities provided an avenue for Peggy and Harold to be part of the lives and plans of these young people as they matured and began families of their own. 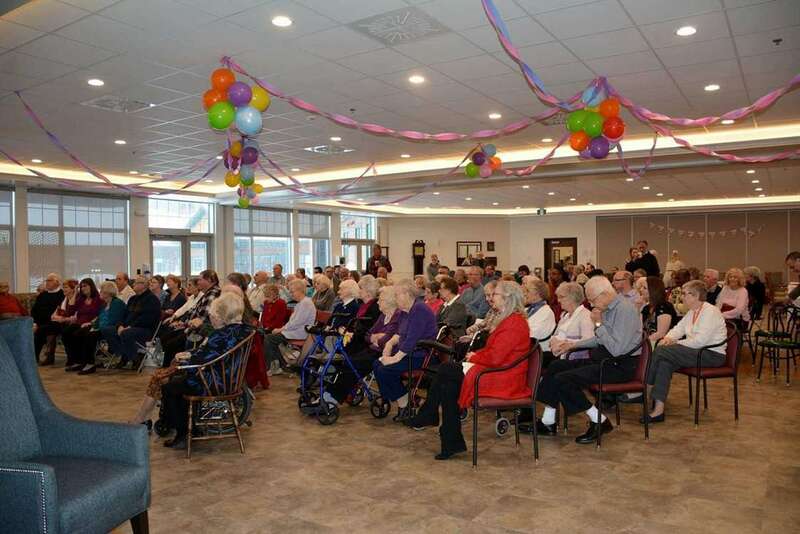 100+ Friends And Family Attended The 100th Birthday Bash On February 2, 2019! No Room For 100 Candles! Peggy has set the bar high as an example of living a life according to the scriptural principles of serving and giving to others. 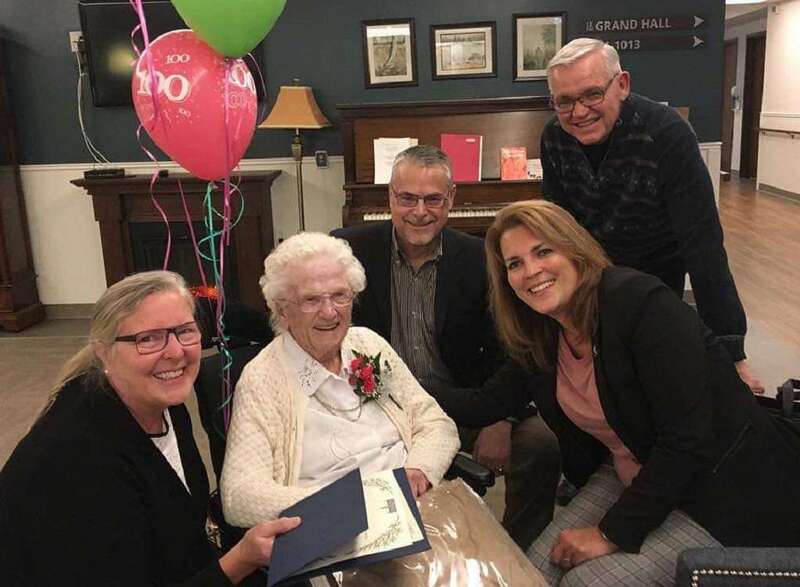 The family has suggested that it would be fitting to honour both the incredible milestone of Peggy's 100th birthday and Harold and Peggy's heritage in the same way that they lived their lives - by helping others. 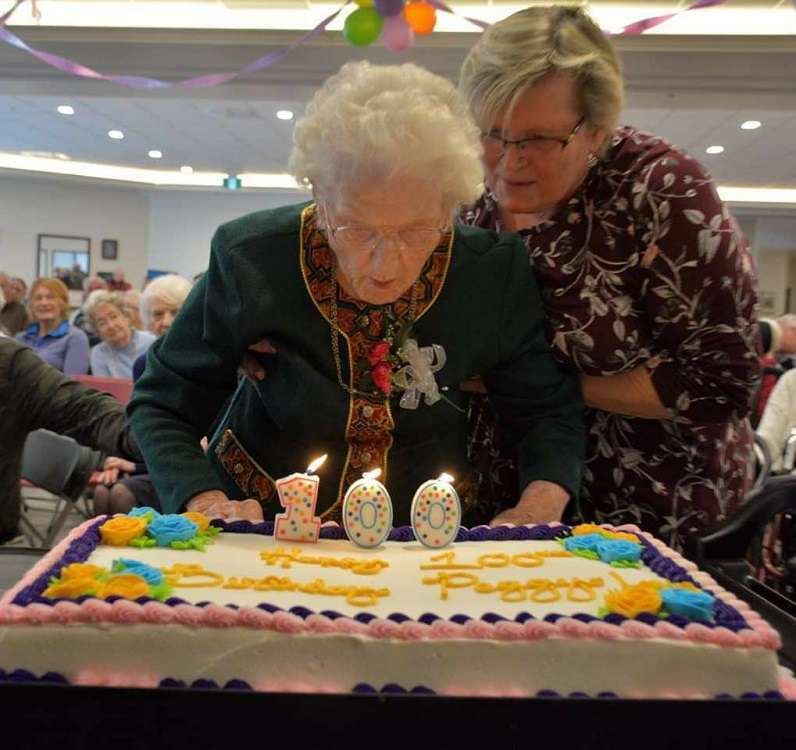 It is Grace Village's privilege to be able to support Peggy at this point in her life, and the suggestion was that supporting Grace Village in her honour would be an appropriate "birthday gift" to her. There are a number of options available, to suit your personal priorities and preferences - click below for details. You can choose from donations to "The Advancement Fund" (capital / building financial commitments), "The Better Living Fund" (various specific projects related to resident resources and quality of life) and "The Dr. Klinck Fund" (subsidies for residents who have challenges meeting their financial needs), a particular interest for Peggy and Harold. Please indicate in the Comment section that the donation is in honour of "Peggy's birthday".